The final project linked to the NZ Transport Agency’s $70m expansion of Auckland’s Northwestern Motorway (State Highway 16) was officially launched last week by the Prime Minister, John Key. On Friday 19 May, Mr Key turned the first spade of soil marking the start of construction on the SH16 St Lukes to Great North Road Upgrade – a project to widen 2 kilometres of SH16, and upgrade the St Lukes overbridge spanning the motorway. The upgrade, set to be delivered by Leighton Contractors, is the last of six critical projects to ensure motorways and local roads are ready for the increased volume of traffic when the Waterview tunnels are completed in early 2017. Enabling work began in the weekend, and at the end of the month there will be five overnight closures that will have a significant impact on drivers using the Northwestern Motorway. The project will widen the motorway from three to four lanes in each direction, and improve motorway ramps. Auckland Transport will also fund improvements at the St Lukes Road-Great North Road intersection and widen the St Lukes Road overbridge. Deputy mayor Penny Hulse described the project as another milestone in providing transport choices for Aucklanders. "It’s important we provide an integrated transport network with options including bus, train and ferry as well as cycling and walking to keep Auckland moving, and that’s an integral part of this project", she said. St Lukes is the last of six projects to connect the Northwestern and Southwestern motorways and complete the Western Ring Route (WRR) – the most significant being the Waterview Connection, New Zealand’s largest-ever roading project. 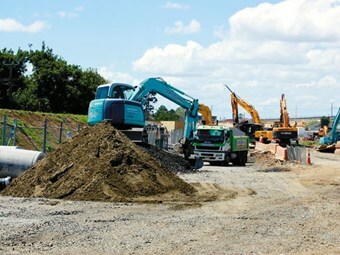 The Waterview project will see the construction of twin tunnels and a motorway-to-motorway interchange, as well as improvements to the Te Atatu and Lincoln Road interchanges on the Northwestern motorway. The Western Ring Route will provide a 47km-long alternative to SH1 between Albany and Manukau. It will provide more reliable city connections – particularly with developing commercial and residential areas in the northwest and southwest – and improve regional transport connections for people and freight. 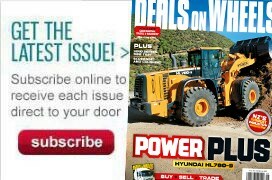 For the latest construction news and reviews, subscribe to Deals On Wheels magazine here.